NO CAP LIMITS. WILL FILL OUT ENTRIES AS THEY ARE POSTED. TEAMMATES - Always open to possibilities!! We may expand operations into other classes for any drivers interested! Provided I can make it to these on Friday, as I work until 930PMEST, I'm game. Have a prototype livery now but may try to tweak it. 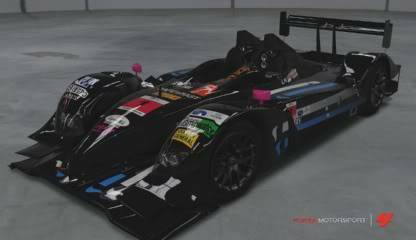 Turn 10 didn't do a very good job when it comes to putting decals on the R18.